What is Needed in a Family History Book / File? 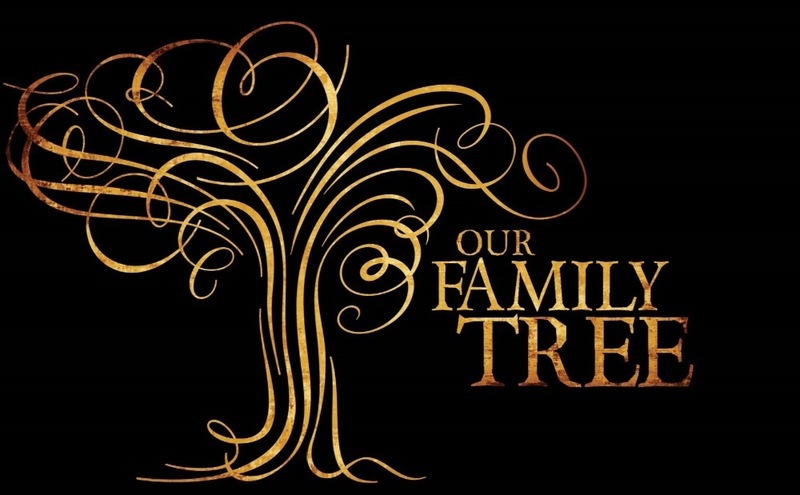 As you research and gather info on ancestors, you do eventually want to create a full family history book or a complete file, whether in print or in digital format. Yet, what is contained in a family history book or file? Here are some suggestions. You don’t need all but having as many as possible does enrich the family history for future generations. 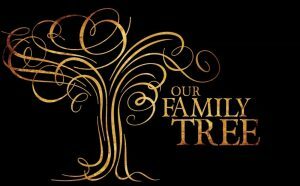 First, you do need a family tree (that is your main lineage) from you to parents to grandparents, etc. Next having Group Sheets on individual families will include those aunts/uncles/cousins/great aunts and uncles, etc. For each tree and group sheets you document the full names, B-M-D dates and locations, so you have a basic outline of your relatives. Then gather, label and organize the family collection of Photos. These provide and enhance your ancestors in various stages of their life. Include any images of homes, business, vacations, sports events, etc. An important item for the family history are the vital records / documents / records to prove the names, events and dates. Family Bibles, birth certificates, marriage licenses, ship manifests (passenger lists), military records, Wills and obituaries are all necessary. 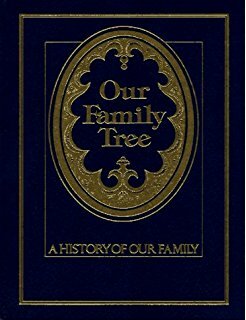 You could also include copies of censuses and highlight the family names. Everyone loves the addition of any family stories. 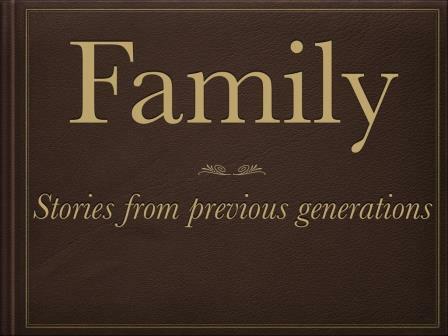 These would be a collection narrative nonfiction short stories about a variety of ancestors. 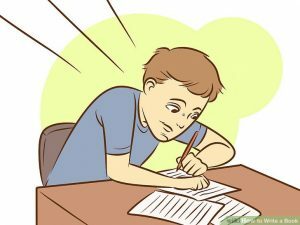 You may choose to write a longer form story taking the reader through an epic adventure based on one ancestor, a couple or a surname line. Any style can be done. 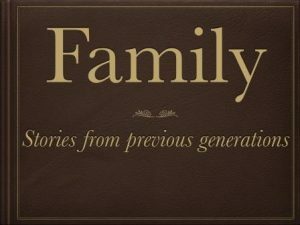 Related to the family stories would be ancestral profiles. This could be on any relative, even a gr gr grand aunt. Any ancestor can have a great story, they were an interesting person, but they are not directly part of your main family story, consider writing a profile about their life. List your sources, very important for future generations or those now looking to do their own research. Include living present-day relatives, with photos, vital information and their stories.